Toontown Has Reached 1,000,000 Members! Stop the presses! Someone call the President! Steve -- put down that sandwich and listen to me! As of today at 12PM Toontown time, Toontown has officially reached ONE MILLION members! This is a monumental step that we've been getting anxious for. We knew that we had a big turnout shortly after Toontown opened its doors, but it has grown bigger than ever with nearly 600,000 accounts created solely in the past year. To celebrate an occasion so monumental, we're going to need your help. With so many members on our side, we want your help in showing the rest of the world that we're truly "Toon Enough". Tomorrow starting at 2PM Toontown Time (PST), we're asking you to send out a tweet, status update, picture, or any other social media post using #ToonEnough to spread news from the Tooniverse across the universe! 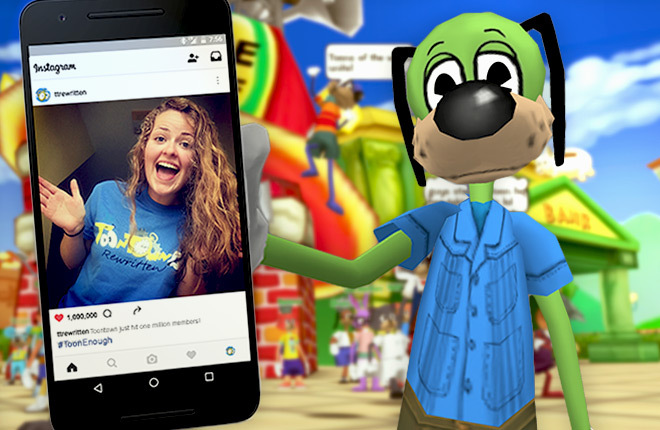 By sending out a message on Twitter, Instagram, Facebook, or Google+ by 8PM Toontown Time, you'll be automatically entered to win an exclusive Toontown poster that will be mailed straight to your door. There are only 100 in existence! Your post can be about anything Toontown related -- and you can post as many times as you want to have higher chances of winning! That doesn't mean you can go and spam #ToonEnough every minute - but it does mean you can share all sorts of screenshots, pictures, stories, and excitement throughout the day to keep the celebration going. Thank you all so much for getting us where we are today. Now let's go out and spread the news around the world that we're TOON ENOUGH! Can't wait! It's so incredible to see so many people enjoy Toontown! I'll be ready to post on Twitter tomorrow! Good luck to everyone, and way to go all! I have been a member since you guys first started and i am so proud of all of the accomplishments we have all achieved as a toon community. I am really excited for all that the future brings. Congrats! Oh my gosh! I'm so hyped that Toontown has reached one million players! I'm happy that my childhood game has grown this much since it re-opened its doors. Keep up the amazing work everyone! Looking forward to amazing future content as the game continues to grow more and more! We're all Toon Enough to save the world from these evil Cogs. As the Number Cruncher says, "Toons: 1 Million. Cogs: Zero!" Toons of the World UNITE! Proud to be 1 of the million! Yay! I am glad that 1 million toons have joined in the battle against cogs! Woohoo, congrats on 1,000,000! Here's to another million! Okay, time to touch the twitter account I forgot about! Hearing this honestly makes my heart melt. I've been keeping with you guys ever since TTO shut down, and heard the news TTR was going to take it's place. Man, you've guys accomplished so much in ONLY 3 years! I can't wait until the future for what you guys have to offer, congratulations! Wow. One million members. That's amazing! The Toontown community is such a great and fun community to be a part of and I'm so happy it is expanding. All thanks to TTR. This games deserves a million members and a million more. I remember the 10000 accounts now before you know it 1 million toons! And then it will go higher and higher how amazing is that! Wow, 1 million! You guys are awesome. Keep up the amazing work. 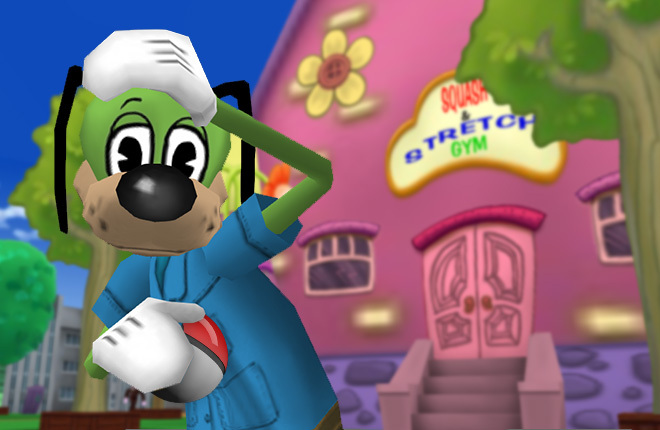 Well today is a big day in Toontown history! This truly shows that this community is continuing to grow! Giving out merch is a great way to celebrate! Even though I got the poster at OMG!Con I still think this is a fair way for everyone to have a chance at getting one! I am SO excited! For the fact that Toontown Rewritten has reached one million Toons (We. Must. Find. That. Toon. And. Give. Them. A. Prize! ), the fact that there's a CONTEST involved, AND the fact that Toontown Rewritten isn't even halfway finished growing yet. You, Toontown Rewritten Staff, are definitely Toon Enough. At long last, on this most toony of days, the number has reached the millions... I am proud to be a part of this great feat. Back when this town of toon we know and love was just a sketch on a piece of paper, not even painted yet, I never would have imagined it would have been successful. Granted I wasn't even a sketch yet, myself. Toons have gotten much more loved as the years go by, and even after the Thinner Flood spilled upon us by one Dizz Knee, we continued to thrive. My one wish for the future toons of this town is powerful but simple, stay toony. With that said, congratulations to TTR, congratulations to the toons of this town, and congratulations to all who participate in this event. Toons of the world, as always, UNITE! Toontastic! Congrats Toontown Rewritten on a million! amazing simply amazing good job TTR! Congratulations Toontown! Hopefully, it'll be two million soon! Poor Steve, he wont be eating that sandwich as it gets stolen by a cog. Surely, a monumental step. Congratulations, Sir Max, and everyone else, also Slappy... *whispering*(Huh? I'm not allowed to talk about Slappy? Oh.) Nevermind that. Congratulations you fellow Toons. HORRAY! <3 Lets make it 2 million! I can't wait to show people how I'm #ToonEnough! Dont wanna sound like a smart aleck here... But I always knew or at least hoped it would reach this number. Congrats TTR Team! That's amazing! Such a tonntastic community to see on the game. Thanks everyone! Congrats! I hope I can get one of those posters! OMG! Congratulations! I knew this day would come. Unfortunately, I dont have social media, but I just like to appreciate it. That's just super duper maybe one day soon they will be able to defeat cogs in buildings!!!!!!! WOO HOO! But still, can we get those buildings back? Cant wait to post stuff on Instagram!! this is going to be so awesome to do it sounds so fun! im so glad 1,000,000 people are playing ttr. 1 million toontown players?!?!? This game is growing more and more popular every day! Way to go TTR! 1 MILLION!!! you don't know how excited I am about this. And now that there is 1 million can you make friend list upgrades that you can buy? That would be cool. Hurray! Congrats on 1,000,000 players! *sigh* If only we had somewhere to *cough* party *cough*. Haha. But anywho, good job TTR Community, we all ARE TOON ENOUGH! 1,000,000 Members?! What a milestone! Who knows what the future holds for TTR? I am so excited to be apart of that 1 million! YES! I knew we could do it! Well done TTR Team! ive been playing toontown online since 2006 and scince today toontown is still my favorite game. this just brings me so much joy for toontown rewritten to ray one million players. keep on playing guys! Alright. Well done everyone. Wish I have a twitter to celebrate but I don't have one. Props to the creators. I can't believe it! one million? It is great to see people can finally play toontown again! I loved playing this as a kid! AWESOME hope we get another 1,000,000 group of toontastic toons in the next year, or less. Hey! Congrats TTR! I've been a member since 2014 and am a proud player. That is amazing! Good job staff for making this a great game to play!! Oh yay! Maybe ill convince some of my friends to try this and boost the popularity... Either way, CONGRATS TOONTOWN! Yay More toons, Bigger Servers! WOO BOY! WE TOON ENOUGH! Congratulations! Thank you, TTR Cast and Crew for making this game a possibility! This is by far one of my favorite mmorpgs that exist! If we have 1 million toons and it's not even out of beta yet, imagine how much we will have once the game is actually out of beta! I knew all along that this was a very successful spot to be. My only worry now is that Disney Corp will see 1 million members and try to reclaim this as a commercial venture and ruin it. Your version of this game is so much better. Good Work and.... keeping fingers crossed that Disney never sees a tweet about how great the success is here. can't wait! im ready to post on google+ tomorrow! good luck everyone and glad to see that you are enjoying TTR! i might even do a youtube video tomorrow in TTR! Wow, this is amazing! Thanks for all you've done, TTR. I can't wait to see what's in store! Nice! Great job toon town! We are quite TOON ENOUGH! Wow! What a moment in toon-kind! I can't wait to enter for a poster! Congrats, TTR! 1,000,000 Members! Awesome! OMG! Congrats!!!!! This is great news!!! Congratulations, Toontown Rewritten staff! Those million accounts is well deserved, you guys have put a lot of heart and soul into this server, and you have a nice attitude that gives it a nice Disney-ish atmosphere. I love how you even brought back a few concepts from Disney, such as TEAM LHAAFBBHQ! May Toontown Rewritten continue to prosper. Pretty sure this is more than the original toontown! nice! Wow I can't believe Toontown reached 1,000,000 members! I wonder how long it will take for TTR to get 10,000,000 members! Congrats TT! I cant wait! Good luck everyone! The small loan of a million members! WE DID ITTTTTTT!!!!!!!!!! I can't believe how far this game has gone. You've picked up where disney left off, and improved. Thank you for recreating this game, and these 1 million people's childhoods. Wow! I have never been that active in the community but I do enjoy popping on every oncee in a while... and I'm glad I got on this week! Congrats TTR, 1 millions members is a lot! Congratulations, To all those members of Toontown! and to the TTR Studios for making the ONE MILLION MEMBERS possible! Congrats toontown! Wow! A million Toons! This is totally awesome! I cant wait to see what Toontown is going to be in a few weeks, months, and years! This is amazing TTR Team! I'm so happy and proud of all the hard work you have been doing, and I cant wait to see what the future holds for the game! wow, in the millions. i am so shocked right now. "Steve -- put down that sandwich and listen to me!" PFFT... HAHAHAHAAAAA! I CAN'T EVEN. Anyway, congratulations on this huge milestone, TTR! Also, if you would like me to make some toon art (a few a week) then please tell me as I would love to make art for fellow toons and devs and no, It will not have to be payed for. I'd rather make someone happy than steal their money. 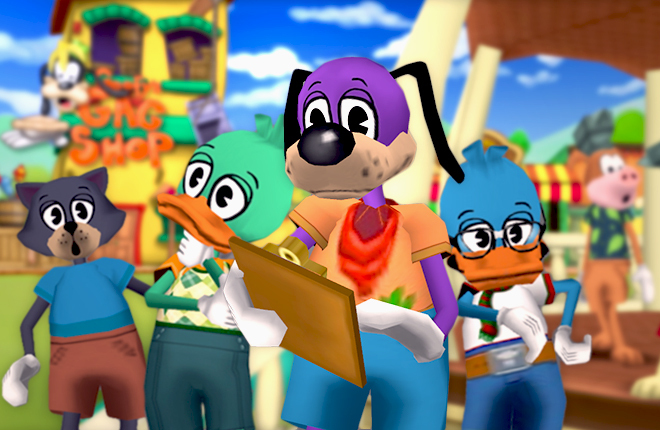 So glad you guys remade toontown. Bless you. Congrats. Very proud of you guys for making this work BUT,... it is a BAD idea to advertise this success. Disney will take back control... 1 million accounts x $15 per month to play (like in the old days) is $15 million per month in revenue... they can't ignore that. CAUTION. omg! I cannot belive that Toontown Has Reached 1,000,000 Members!! I use to play this game but then i stopped after some days i came back and saw that Toontown Has Reached 1,000,000 Members! I was a bit upset when I read this: I'm not old enough for social media. However, congrats on a million members! I started playing toontown online in 2005 I was 2 but thenot it closed down. But then I stumbled across you guys! Your made me happy again I wish I could of played from the beginning but what I have now on toontown right now is fine with me thank you for bringing back this wonderful wonderful game. Oh my gosh when I first read this post I was like, "WHAT?! WHAT?!" This is AMAZING!!!!!!!!!!!!!!!!!!!!!!!!!!!!!!!!!! Toontown will always be amazing!!!!!!!!!!!!!!!!!!! Congratulations everyone, on 1 million toons! Great job on accomplishing your goal, staff, I hope we can reach 2,000,000 members now! Wowzers! That's a big milestone! That's amazing! 1M is quite a lot! Gag up and fight cogs everyone! OMG REALLY??!!!! THATS AWESOME! I Cant Belive You Reached 100,000 Members!!! Im So Happy!!!!! :D! Woohoo I wanna celebrate this with a party on the game! One million members I see? I hope our community continues to grow from here on. i swear ima lose but i wanna get that poster soooo bad! YAY but i have a problem my cattlelog just reset to series 1 and i was on series 13 please fix this! Congrats on All dose membas! Wait hold on i'm not sure I heard you right. 1,000,000!?!? How will I meet everyone now dang it!? R.I.P All phone users TTR is going to spam twitter! Are YOU Toon Enough? I think I am now! 1 of million and rocking it! what is wrong with the game? why is it crashing? We can't just give out posters to celebrate- we need something else tony? How about a party? If we had 1 million players, we'd have more than 3,000~ players online at once! Congrats! I'm so proud for you guys bringing back my favorite game! Also, is it me, or do Daisy Gardens toon buildings have different music? People know Toontown Rewritten exists! I knew we could do it! Oh my gosh! 1,000,000 members?! This Toontown community has grown so fast! I'm proud to say I've been here from the start and is beyond amazed and excited to see TTR thriving and bursting in color. Way to go Toontown!! Wow, that's absolutely amazing! I'm so proud of you guys and all the hard work you've put into making this game great. I've been here since you opened and I've loved every minute! I'm proud to be one of those 1 million toons! (: I can't wait for the future of Toontown and all the awesome things to come! Congrats, Toontown Rewritten! It is so Toontastic that we have reached 1,000,000 toons roam Toontown! I'm #ToonEnough for all these toons. Get ready for a lot of full districts! Wow! TTR has really come to 1,000,000 members! TTR has grown so much since it started! Congratulations to Toontown Rewritten for reaching 100,000,000 members!! WOW! Good job! You earned it! Congratulations! Keep Calm and Feel Toony Tough! 1 million??! wow the trolly must be loaded with toons trying to have fun! Congrats guys, and thanks for keeping the game alive! 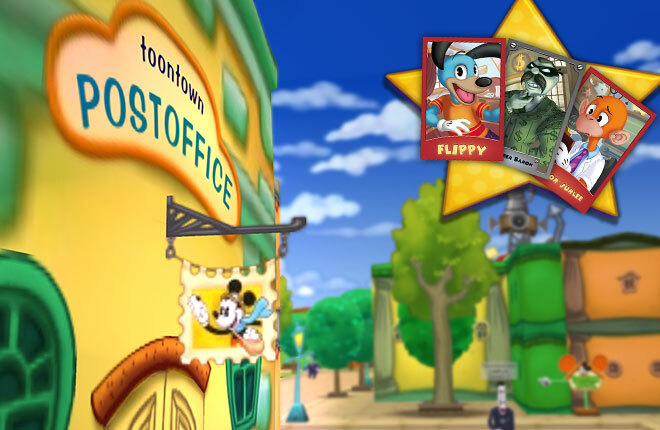 Don't Forget to Grab a Toontown Member Mailer!